We use sustainable farming methods to ensure consistently high quality produce, from paddock to plate. We provide our animals a natural free to range life where they are able to express their natural instincts. 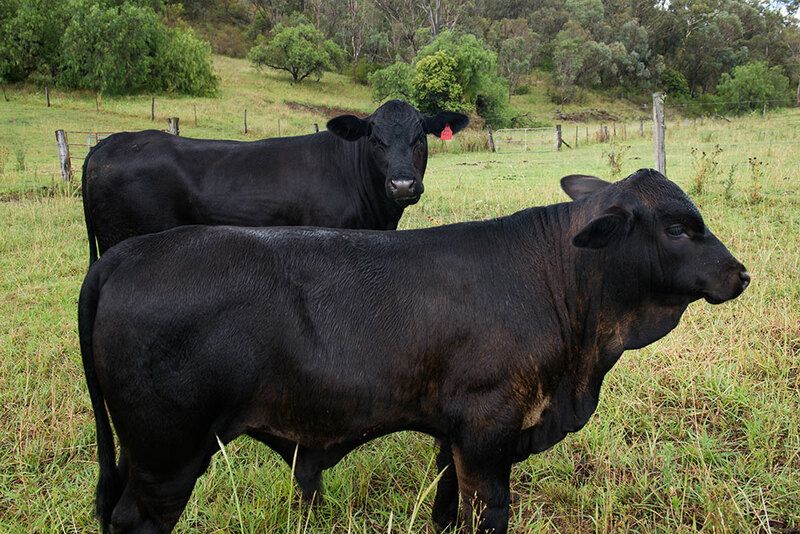 Our commitment to the ethical treatment of the animals and utilising diverse farm practices that regenerate our landscape, fertilise our pastures, and heal our soils ensures we maintain healthy and happy livestock, farmers and consumers. Our 3000 hens are free to express their 'inner chookiness' in the great outdoors, all day, every day. Stocked at 500 hens to the hectare (that’s 20 square meters per chicken), they are grouped in small, age specific flocks and are supplemented with certified organic grain to balance their diet of fresh grass, bugs and grubs. Our ladies are kept safe behind portable electric fencing and are relocated every few days to follow behind our cattle, which is integral for pasture sanitation and fertilisation. With no antibiotics, no chemicals and no hormones, our girls are just happy hens producing delicious nutritious pastured eggs. Our pigs are pasture raised in small groups and rotationally grazed in a combination of our open grazing grass country and our native forest bushland. This is land that traditional farming methods would place less value on, however with the pigs natural foraging and digging behaviour, it helps regenerate the landscape and activate once dormant grass and other plant seeds. We feed our stock supplementary chemical-free grains and utilise Sauerkraut produced from our friends at Gutsy Ferments. We believe this results in happy, healthy pigs that are free to express their inner piggyness. Oink! Our cattle are an integral link in our symbiotic farming system; they are the catalyst that activates and utilises the pasture growth. We use holistic management principals and low stress stock handling techniques on our herd of Brangus cattle, allowing them to best display their natural grazing behaviour. This means that our herd is constantly on the move, like wild nomadic herbivores. We relocate our cattle as often as daily, enabling them to utilize every nook and cranny of our farm. Through the bio activity of the livestock and long recovery periods, we heal the soil, regenerate the landscape, sequester carbon and grow more grass. At Echo Valley Farm we utilise ‘no-till, no-kill’diverse pasture cropping techniques in order to produce additional livestock fodder, chemical-free cereals and grain, as well as seasonal hay. This process was designed to exploit the full potential of the subsurface microbes, maintain living roots in the soil and plant matter on the ground at all times and feed subsurface life like earth worms. This enables us to begin healing the soil, rebuilding organic matter and stoping erosion throughout our land.